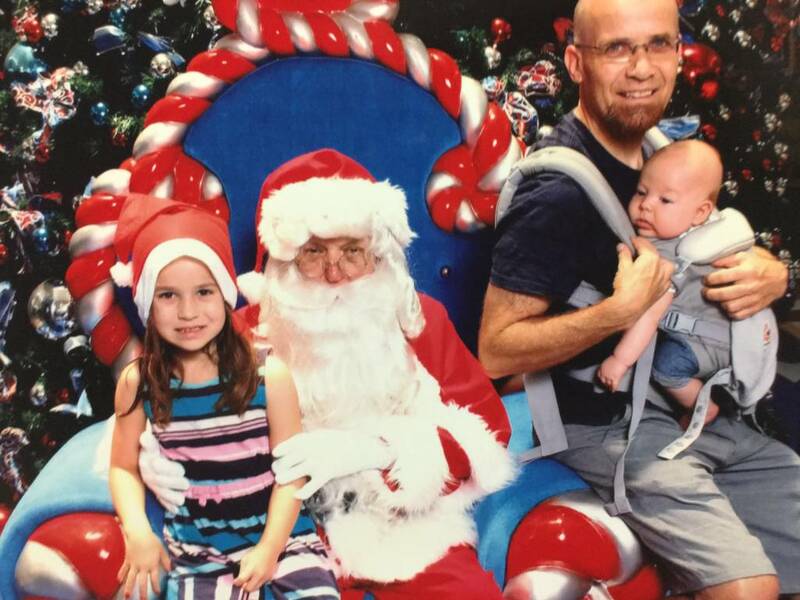 When my oldest was 2 years old, she was petrified of the dudes dressed up as Santa in the shopping centres. It was real, legitimate fear. Without thinking twice, I told her that anybody can dress up like Santa. It took her another year, but after a while, she wasn’t frightened anymore. She’s 6 1/2 now, and we still ‘do‘ Santa. On Christmas Eve, we put cookies and (rice) milk out for him (daddy). And, sparkly oats and carrots for the reindeer… My kids know the truth and it’s still fun. Something that adults often forget is that children have an amazing imagination. They can know something isn’t real and still play along with all the enthusiasm as if it were real. I generally don’t lie to my children about anything, and let’s face it, telling kids that Santa is real, is actually a big fat lie. I know it’s a nice, sweet, well intentioned lie… but it’s still a lie. I know a lot of my friends are conflicted about whether they should ‘keep the magic‘ of Santa, or tell the truth and then Santa is ruined. So, that’s why I’m sharing my experience. You can do both! Tell them the truth and still have the fun. Posted in Fears, Gentle Parenting and tagged Santa, telling the truth about Santa. Bookmark the permalink.